Find arrival and departure information, and bike transportation details. 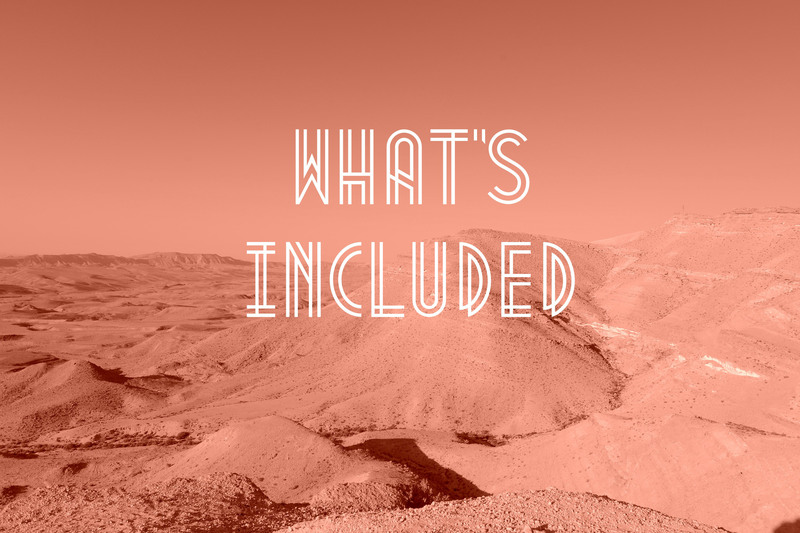 Learn about trip support, accommodations, packing lists, and more. Find short descriptions and overviews of the sites along our biking and hiking routes. 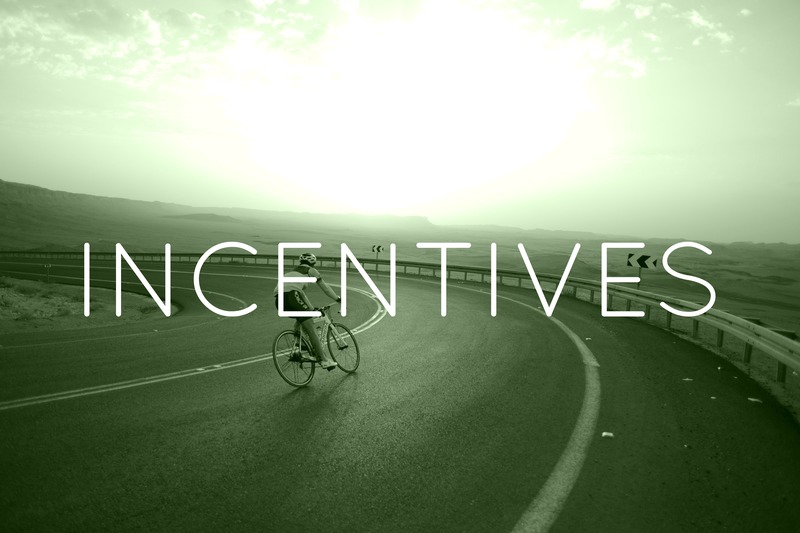 Earn awesome incentive gifts by significantly surpassing your fundraising minimum. Cancellation Policy: Registration fees are fully refundable for participants who cancel on or before September 1, 2018. Please contact Jillian Mandell if you need to cancel your registration. All the net proceeds from the fundraising efforts will support the Tikvah special needs programs of the Ramah camps. Children, teens, and young adults with Down Syndrome, autism, and a wide variety of developmental and intellectual disabilities are included in Ramah summer camp programs throughout North America. Funds raised by the Ramah Bike Ride and Hiking Trip will support scholarship assistance for families with financial need, as well as the critical training of the staff members who support, nurture, and supervise campers with disabilities. What are the costs of the trip and what do they cover? In addition to meeting their fundraising minimums, all riders and hikers must pay a registration fee of $950 as well as their own airfare. Your registration fee covers: seven nights of accommodations in hotels and kibbutz guesthouses along our hiking and cycling route; great meals throughout our trip; plentiful healthy snacks and drinks at rest stops along our route; support vehicles to transport gear and luggage; expert trip leaders; security, medical and mechanical support; group transportation to and from the airport; tour guides, and evening programs. For riders, the minimum fundraising goal is $3,600. For riders under 30 years old or the spouse of another rider, the minimum is $2,500. For hikers, the minimum fundraising goal is $3,000. For hikers under 30 years old or the spouse of another hiker the minimum is $2,000. Do I need to be an advanced cyclist to join? This won’t be a competition; anyone with distance biking experience will find the routes to be challenging yet manageable. More advanced riders will have an opportunity to “go the extra mile.” So long as you’re in good health and willing to train before the tour, this ride is for you. There will be three riding groups – Shoafim, Bogrim, and Mumchim. Riders may opt to join the Shoafim group, bike at a slower pace, and spend the afternoon touring by bus with an experienced tour guide. Bogrim will bike a full day, riding approximately 50 miles daily. Mumchim, the most advanced riders, will have the option to add additional mileage for an extra challenge each day. Support vehicles will be available for riders who choose to take a break and hitch a ride at any point during the day. While the ride is primarily for adults (including college-age students), we welcome you to make this a “family experience” as long as your kids are over 13 and have the stamina, training, and cycling experience to enjoy the trip. The range of ages on prior trips has been 13-82. May I raise money specifically for my own Ramah camp’s special needs program? 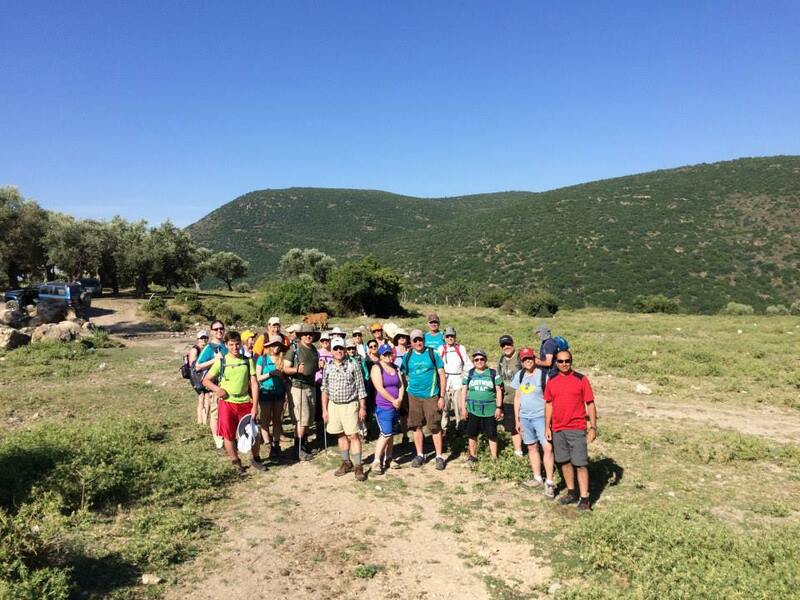 The Ramah Bike Ride and Hiking Trip is a program of the National Ramah Commission on behalf of all the Ramah camps and their special needs programs. 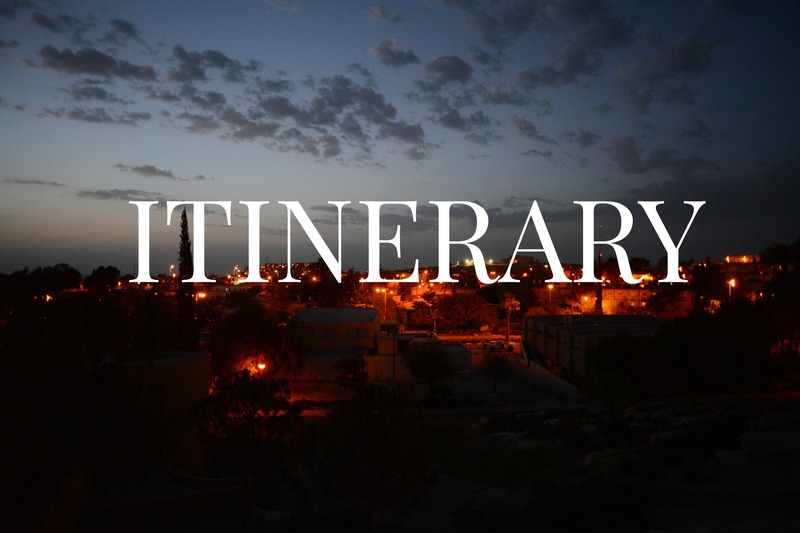 Funds raised by this trip are allocated by the National Ramah Commission to all of our camps. If any of your donors wish to donate specifically to the special needs program of one Ramah camp, please encourage them to donate directly to that camp. However, those direct donations cannot be included toward the fundraising goal of a rider or hiker for the trip. What does a typical day on the trip look like? Our days will be filled with cycling and hiking through some of the most stunning scenery in Israel. On most days we will begin with an early wake-up followed by tefilah and breakfast. Along our route there will be regular rest stops with snacks and drinks (approximately every 15 miles for riders, and every few hours for hikers). At selected spots, our veteran tour guides will provide explanations and insights about the scenic and historical sites along our route. In the early afternoon (most days around lunchtime), riders and hikers will have the option to continue cycling or hiking or to explore additional wonderful sites along our route by bus with an experienced tour guide. Everyone will come together for a relaxing dinner and a variety of interesting and fun after-dinner programs for those who are up for it. What if I can’t raise the minimum amount of funds? Most participants will find that exceeding that amount should be easily achievable, and our website will provide you with all the tools to help. In the event that a rider falls short of this goal, participants must commit to paying the balance, which will be charged to the participant’s credit card prior to the beginning of the trip. We will all start together on Tuesday, April 2. We will provide shuttle transportation from Ben Gurion Airport to our starting hotel. (If a sufficient number of participants will be originating in Tel Aviv or Jerusalem, we may be able to provide a bus from a central location. As we gather more information from our participants, we will determine shuttle origin points.). 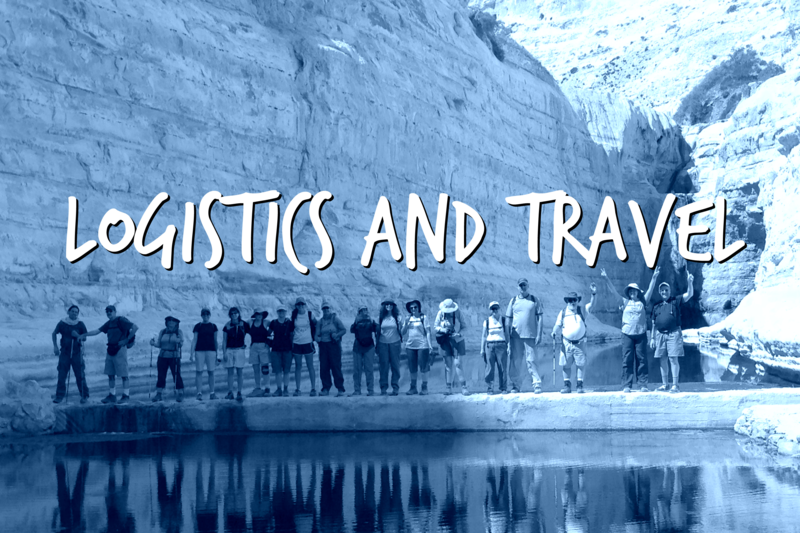 Click here to check out our logistics and travel page. If my supporters are Canadians, can they receive a tax receipt for their donation to this ride? Canadians donating to a Canadian rider/hiker must use the rider/hiker’s specific CANADIAN fundraising page. Riders/hikers who expect to have Canadian donors should contact Jillian Mandell, , who will provide a Canadian Fundraising Guide. No. If you do not want to bring your own bike, you may rent one from Gordon Tours (arrangements to be made in advance). There is an extra fee for rental bikes. Please contact Jillian Mandell to obtain information about bike rentals.